It is this time of the year again – Christmas and the summer holidays are just around the corner. Our team wishes you a great time with your family, friends and all the best for 2016. Make sure you travel safely on our busy roads during the festive season – please do not forget that we have one of the most dangerous roads in the world! This is the last newsletter for 2015 and we trust you find the information we want to share with you useful. Amongst others and to the delight of many travellers, the Department of Home Affairs has been instructed by Parliament to amend the Immigration Regulations. As usual, we have also included information across the board regarding investments, taxes, insurance and other related topics and this newsletter can be viewed under http://www.swissfin.co.za/en/newsletter/swissfin-newsletter-december-2015/. Change to Visa Regulations – at long last! Please take out Gap Cover! Which are the most reputable countries in the world? The Reserve Bank has increased the Repo Rate on 20th November 2015 by 0.25% to 6.25% and the prime lending rate to 9.75%. This came rather unexpectedly and helped the Rand to strengthen temporarily. The Governor explained the increase to pre-empt inflationary pressure, due to the effects of the drought and further electricity price increases. A hike of rates in the US is also expected shortly, which will not benefit our currency. Since January 2014, rates have increased by 1% and looking at the deflationary economic environment, rates are looking to increase further in the long run. “If we do not achieve growth, revenue will not increase. If revenue does not increase, expenditure cannot be expanded.” It is with this statement that the ex-Finance Minister of Finance set the tone of the Medium Term Budget Policy Statement (MTBPS) which was presented at the end of October. The slowdown in economic growth and a higher than expected increase in government’s wage bill continues to make it difficult for the National Treasury to balance the books. Government debt continues to increase as a percentage of GDP. 35.7% of the R 986 Bio. revenue was contributed by personal income taxes, 26.4% was contributed by value-added tax and approximately 18.7% was contributed by corporate taxes. Tax revenue for the 2015/16 fiscal year has been revised downwards by R 7.6 Bio to R 1073 Bio. mainly due to the fact that corporate tax and VAT collections are expected to be below budgeted levels. The ex-Finance Minister’s words: “Soon, tax evasion and aggressive tax planning will have nowhere to hide” seems to be a clear warning to taxpayers on these issues. – An increase in the VAT rate remains a possible option. – Maybe the introduction of a wealth tax will be considered. The ex-Finance Minister also highlighted the following aspects which are under consideration, namely, carbon tax (National Treasury will soon publish a draft carbon tax bill for public comment), small business taxation and mining taxation. The economy is currently trapped in a stagflationary environment. With the GDP shrinking in the second quarter due to electricity outages and strikes, a recession might even be a possibility. South Africa is far from a 5% growth in GDP to reduce our high unemployment rate of over 25%. The costs of the National Health Insurance and the performance of the State Owned Enterprise must be a further headache for our ex-Finance Minister. It is evident South Africa’s lower potential growth rate demands a renewed focus on expenditure restraint. Indeed, it seems fair to argue the current depressed level of growth cannot support the intended level of government spending. The Treasury’s proposed long-term fiscal policy guideline is an appropriate response. Now it needs to implement it. Until then, the jury is out on long-term fiscal sustainability. The insurance company announced at the end of September 2015 that it will establish a retail bank to diversify its business. This means that the insurer will compete with the five established banks. Founded in 1992, Discovery’s business model is linked to a behaviour tracking programme that rewards clients that live healthy and exercise regularly. The success of the Discovery Credit Card underlines the solid base that the insurer could work from. Discovery still needs to apply for a banking licence and to get everything in place could take up to two years. The innovative thinking of Discovery and the great client base could well be a challenge for the other banks. Since 2008, Swiss living abroad have experienced difficulties in maintaining an account in Switzerland. Stringent compliance requirements, money laundering laws and FATCA has resulted in many Swiss having their bank accounts closed by the banks. A petition was given to the Swiss Council in September this year by the “Association of the Swiss abroad“ to force the Swiss banks to maintain accounts for Swiss living abroad. The Association represents approx. 750’000 Swiss living abroad and wants the commercial banks to maintain such accounts. Many Swiss receive their pension in Switzerland and need to pay their health insurance premiums, which is virtually impossible without an account in Switzerland. The National Assembly has now ruled this September, that the Postfinance Bank is obliged to maintain accounts for Swiss abroad. In addition to the above, a new Swiss law enacted at the beginning of November for Swiss living abroad which clearly regulates the duties and rights of Swiss living abroad. A group promoting Canadian sovereignty has raised 80% of the funds (Canadian Dollars 400’000) to take the Canadian government to court for providing resident’s details to the US in terms of the FATCA agreement. FATCA is a controversial piece of US legislation that requires institutions around the world to identify US citizens and report such details to the US Internal Revenue Service (IRS). The lawsuit was filed on 11 August 2014 and intends to break off the inter-governmental agreement (IGA) between the US and Canada. The group called “Alliance for the defence of Canadian sovereignty” believes that the legislation is unconstitutional and violates the fundamental rights of all Canadians. There is growing worldwide dissatisfaction with the exchange of financial information not only in terms of FATCA, but also with the reporting guidelines laid down by the OECD. At a recent Deloitte event on Base Erosion and Profit Shifting (BEPS), the South African Revenue Service (SARS) announced its intention to adopt the latest OECD recommendations on the Country by Country (CbC) reporting by as early as 01 January 2016. In brief, the CbC aims to provide SARS with an overview of the aggregate tax position of a multinational company operating in South Africa as well as the allocation of revenue across the jurisdictions in which the multinational operates. Fundamentally, CbC is intended to assist the tax authority to do a transfer pricing risk assessment. The CbC report is the third tier off the recommended documentation proposals from the OECD with the other two tiers being a group Master File and the Local Country Files. It will apply to the multinational headquarters in South Africa which have an annual consolidated turnover in excess of Euro 750 Mio. The Minister of Human Settlements, Mrs. Lindiwe Sisulu, has published the Community Schemes Ombud Services Act on 2 October 2015 for public comment. The draft paper does affect all community schemes, such as Home Owner’s Associations (estates), shared blocks (retirement homes) and Body Corporates. The draft paper follows some good intensions, like community schemes to be given an opportunity to settle certain issues without major legal expenses. From an insurance perspective, the community scheme must have insurance cover in place, should a staff member, director etc. defraud the scheme (fidelity insurance). The Act will probably not come into effect for some time and needs to be signed off by the president. To download the draft paper, please click here. The insurer has experienced problems with their number due to load-shedding and Telkom problems in Johannesburg. As mentioned in our last newsletter, we would like to remind all our short-term insurance clients to please send us the completed form. Should you no longer have such, please click here to download. We are in the process of the licensing application for SwissSure and due to the lengthy time that is consumed by the authorities, we hope to be ready by the end of the first quarter of 2016. In countries where there is no SA mission, the Department of Home Affairs will receive applications, including by post, and capture biometrics of travellers on arrival at ports of entry. To address concerns around the geographical spread of countries like China, India and Russia, certain measures will be put in place to ease the process of application, in particular for tourists. Child-travel requirements for outbound travelling will stay, including proof of parental relations through unabridged birth certificates, and, as necessary, parental consent. In respect of inbound travel where visas are required, it will still be required that original birth certificates and, as necessary, parental consent or certified copies are submitted during the visa application process. Requirements regarding accompanied minors will remain, like providing copies of the identity document or valid passport and visa or permanent residence permit of the person who is to receive an unaccompanied minor. For visa-exempt countries, a strong advisory will be issued, with travellers advised to have proof of relationship and consent from the absent parent/s or guardian/s, in case they are asked to provide such on arrival. The status quo will remain until such time the DHA has provided a legal instrument for this category of travellers. In the meantime travellers are encouraged to comply. Implement the capturing of biometrics at ports of entry starting with a pilot at OR Tambo, King Shaka and Cape Town airports. Look at introducing an Accredited Tourism Company Programme for countries like China, India and Russia. Consider a long-term Multiple Entry Visa for a period exceeding 3 months and up to 3 years for frequent travellers (for business meetings), business people and academics. Principals will issue letters confirming permission for children to travel on school tours. Add visa facilitation centres, including in Zimbabwe, United Arab Emirates and Botswana. Consider a visa-waiver for India, China, Russia and other countries. Look at issuing visas on arrival for persons travelling to SA having in their passports valid visas for the UK, USA and Canada or any other country that applies stringent checks on visitors to their countries, to ease travel for tourists. Consider granting a certain category of frequent travellers (business and academics) from Africa a 10 year Multiple Entry Visitor’s Visa. Open two Business Visa Facilitation Centres in Durban and Port Elizabeth, in addition to the centre recently opened in Sandton. Print parents’ details in children’s passports so that they do not have to carry birth certificates. Install systems for pre-flight checks at international airports. Upgrade Advance Passenger Processing systems and implement Passenger Name Record, to enhance risk assessment. These proposed amendments are certainly a victory for common sense as well as South Africa’s tourism industry. Please take note that these changes are still to be implemented – in the meantime the regulations still apply as normal! We have heard numerous rumours that it is no longer possible to extend a visitor’s visa whilst in South Africa. Please note that this is not correct and you can still do a local extension. However, such must be done within the first 30 days of arrival in the Republic. Please click here to download the checklist for the extension. We will gladly assist and accompany you to the Department for submission. There are some happy staff members at First National Bank and Standard Bank, as these two institutions have successfully issued over 2000 new ID cards to staff members through the pilot project with the Department of Home Affairs. The system was being tested with staff first before it could be opened up to the public. Home Affairs Minister Malusi Gigaba opened the third fully digitised office in South Africa on the 19th November 2015 – in Somerset West. Client can now pay with debit or credit cards. Applications for ID cards can now be done via the internet and the DHA office only needs to be visited for the fingerprints and the photographs. The new system will be rolled out to all DHA offices by March next year. This will mean that a third of the 400 offices will be temporarily closed for the systems upgrade. The new system will allow for ID cards to be issued within 10 days. We are very excited to announce a new product offering for our international health insurance range: After having tested the product for the last 6 months, we have received positive feedback from our clients in terms of servicing and claims handling. Globality is owned by Munich Re and their servicing centre is in Luxembourg. All documentation is available in English and German. They offer great benefits at reasonable premium rates. The average weighted premium increase is 8.6%. The new Smart plan is launched: It only works via smart phone, offers unlimited hospital and with out-of-hospital, screening and prevention benefits. Most of the sub-limits have been adjusted in line with the premium increase. Discovery is partnering with Human Longevity Inc, a leading genomics company based in the US. The partnership will provide members with the latest developments in genetic testing especially with regards to cancer. Members can have an entire exome screening done at USD 250. There will be enhanced care for advanced cancer patients available on all plans. Discovery is focusing on health members that exercise regularly with the introduction of the Vitality Active Rewards. It offers instant remuneration at Vida e Caffe or Kauai if weekly goals are achieved. Everything is handled via your smart phone for electronic vouchers, cheaper flights etc. Members can get an Apple-Watch and earn points by tracking their activity. You have to achieve at least 4 weekly goals; otherwise there is a monthly instalment towards the price of the watch over 24 months. Please note that the deadline for plan changes is the 15th December 2015. We are becoming more and more aware of the fact that Medical Aid schemes are not covering the full costs of hospital bills and that clients are having to pay in the shortfall. We therefore urge all our clients to take out a Gap Cover insurance policy? Gap cover pays the difference between what the medical aid scheme (medical aid tariff/rate) pays, for procedures done in hospital versus the actual cost of the procedure performed. Although your hospital benefit states it covers 100% – the 100% refers to the Medical Aid Tariff/ Rate and not 100% of the cost! Specialist and anaesthetists, as well as procedures in hospital, usually charge in excess of the Medical Aid Tariff/Rate, which could be 300-400% over and above the 100% of the medical aid rate. Co-payments are also becoming more common for certain procedures – like MRI, CT & PET scans – this amount could be covered by the Gap cover if you have selected this benefit. The Reputation Institute has released the results of the 2015 Country RepTrak Survey, naming the world’s most reputable countries. The survey is based on the insight of an online panel consisting of 48 000 people representing the G8 countries. The results reveal not only the most reputable countries, but also which countries’ perceptions of themselves differ significantly from international perception. Canada has appeared at the top of the list in previous surveys and this year reclaimed first place from Switzerland. South Africa was placed at number 40 – not much of a stellar achievement. However, the survey also found that South Africans have a significantly worse outlook on the country than outsiders and it seems South Africans are a bit hard on themselves. The USA, China, Germany and Japan did not make it into the top ten, despite being the world’s most powerful economies. Legally owning and operating a remote controlled aircraft – commonly known as a drone – has become more difficult. The SA Civil Aviation Authority (CAA) has introduced strict rules in June this year which requires owners to undergo eye tests, acquire licences and provide certificates that prove competency in radio telephony. Those that do not follow the rules can be fined with up to R 50’000 and / or 10 years imprisonment. This also applies to the Western Cape Police, who started using drones for surveillance purposes before the legislation came into force. So before you buy yourself a drone as a Christmas present, make sure beforehand that you can meet all the red tape criteria! This is the latest must have for wealthy couples before they get married. Growing numbers of couples insist on this penalty clause in their prenuptial marriage contract. The clause means that if the couple break up because of either party being unfaithful, the adulterer will lose much of his/her share in terms of the divorce settlement. The clause is a return to the traditional idea that when a marriage fails that someone is to blame and has to pay. Judges do not take adultery into account when they divide a couple’s assets in a contested case – something that angered those partners having to pay a large share of their wealth to an unfaithful wife or husband. The City of Cape Town has impounded this staggering number of devices from motorists using them whilst driving. This traffic by-law was introduced 3 years ago and prohibited motorists on a public road from holding a device with a hand or any other body part whilst driving. Only 4182 drivers have claimed their phones back by paying a R 1000 fine. The City can sell a confiscated phone after 3 months and an auction is being considered. The City is currently dealing with the deletion of personal data on all the phones before they will be sold. SA drivers are now required to provide a proof of residence when applying to renew their vehicle licence. The new rule came into effect on 2 November 2015 by the National Department of Transport as part of Regulation 32A of the National Road Traffic Regulations. Drivers, whose vehicle licences are up for renewal in November, should take note that the issuing of a vehicle licence disc could be denied if these new requirements are not met. There is a change of the person’s particulars or change of address. When an application is made for a national traffic information system (NaTIS) service at the City’s Motor Vehicle Registration offices or at a driving licence testing centre. These include, amongst others, applying for a driving licence, applying for the renewal of a driving licence, applying for a learner’s licence, applying for vehicle licence disc, renewing a vehicle licence disc, and registering a vehicle. Proof of address can include a utility bill issued by the municipality, a telephone account and retail store account (provided that it is not older than three months). As from the 1st October 2015 there is no more smoking allowed, if there are passengers under the age of 18 in a vehicle. Should the law be broken, the driver and the smoker will be fined with GBP 50, regardless if the sun roof or the window was open. Drivers with convertibles will be smiling, as they can smoke as before. 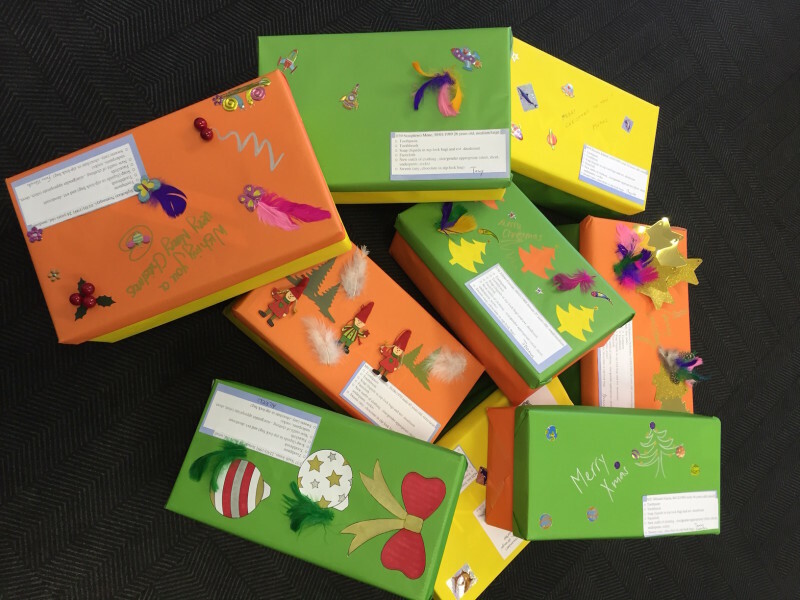 As part of the Nelson Mandela legacy “67 minutes” we created and filled 9 shoe boxes called Xmas box (each employee one box) for the people who are infected with TB and are treated at the Brooklyn Chest TB Hospital in Ysterplaat. Brooklyn Chest is a government funded tuberculosis (TB) hospital in Cape Town. It is actually the only TB hospital in Western Cape. The hospital accepts patients based on referrals by other clinics, hospitals, and do not require the patients to pay any fees. The hospital is divided into different wards according to gender and age. There are also two separate wards for the multidrug- resistant (MDR) and extreme drug-resistant (XDR) TB patients. These patients are isolated from the rest of the hospital because the strain of TB they are carrying is extremely dangerous. This year the Christmas boxes go to the patients who are extreme drug resistant and may not leave the hospital anymore. We are looking forward to taking all these colourful boxes to the people in need and of course, we will let you know in our next Newsletter about all the happy faces. Please note that we are open on normal work days Monday – Thursdays from 08.30 to 16.30, Fridays 08.30 – 16.00. Our offices will be closed from the 24th December 2015 until the 3rd January 2016.
) so that we can assist you. The information contained in this newsletter is neither intended to be a definitive analysis of any specific legal topic nor should it be construed as legal or other professional advice. Professional advice should therefore be obtained from a consultant before any course of action is pursued.